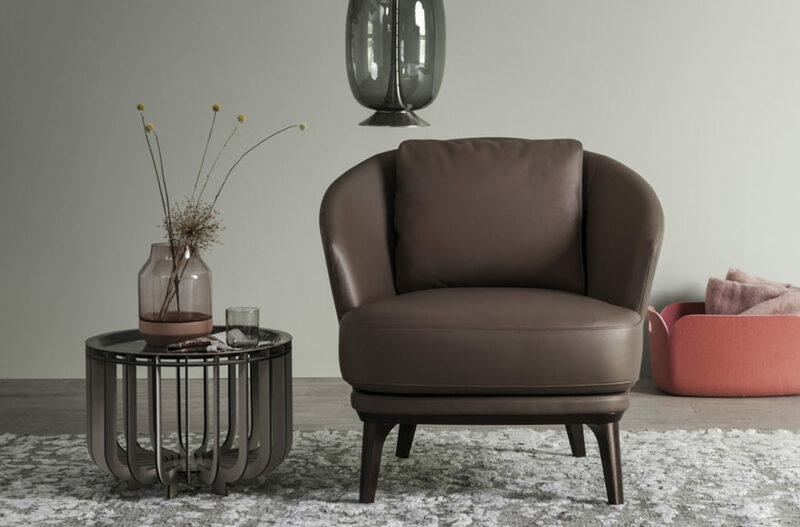 The delicate and light club chair Amy offers extreme comfort, further enhanced by the loose cushion to support the lower back. The slim rounded chair back and elaborately crafted wooden frame underscore the quality of this elegant chair. Amy makes a striking impression both solo and when combined with cubic sofas. 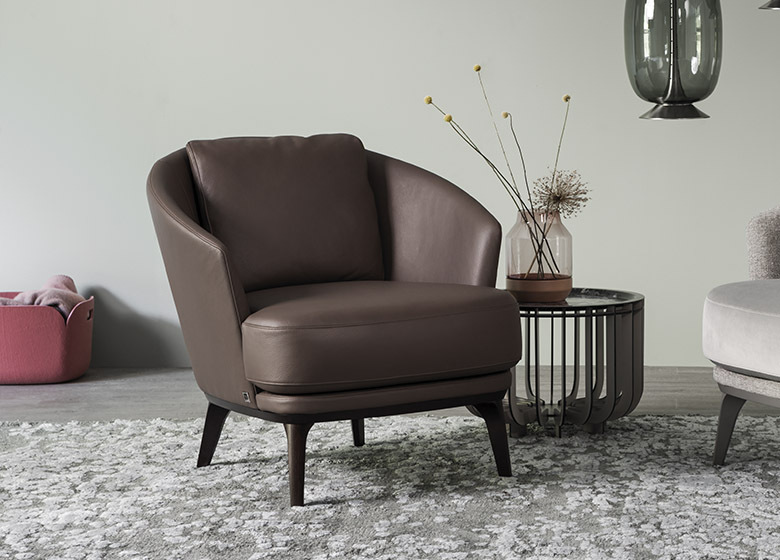 The delicate high-back armchair Ashton draws on the design concept of the club chair, together the two chairs form a harmonious ensemble.